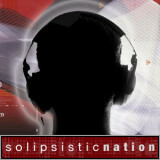 Tactus was recently interviewed for San Diego based radio show Solipsistic Nation. The interview covers his approach to music and running ABAGA Records, and the accompanying hour long mix showcases ABAGA Records releases and his own unreleased tracks. More information can be found here.